Order a copy or subscribe online. Only $15 for a one year subscription! Eymund Diegel is lead researcher at the Gowanus Canal, and sits on the Board of Directors for Public Lab. He is interviewed here by Shannon Dosemagen back in winter 2012. Shannon: Can you tell me how you got involved and interested in the working being done at the Gowanus and what personally motivated you to get involved? I live here and the Gowanus Canal is my backyard. I like understanding what I see out my window. Public Lab tools make it easier to explore that backyard. Like most New Yorkers, I’m also an immigrant, so I really like learning what’s new about this place I’ve come to--that means finding out about its history and clues to what its future might be. The Gowanus is also a very polluted place, so it affects us as residents physically. Because I live so close to it and take children out canoeing on it, I would like it to be less polluted. I live on an island surrounded by water, and I think that water could be a lot better quality than it is. My proximity creates a physical incentive to improve it. Can you explain what kind of work you’ve done at the Gowanus? What have you been looking for? Well, I’m a local parent so I’ll get school teachers asking me if I have any resources on local history--where the Indians used to live, where the battles were fought… I work with Proteus Gowanus (proteusgowanus.org), a local cultural group, and we collect the memories and recollections that people have of their landscape and that includes its peoples, books, maps and stories. We make the Gowanus digital archive available to visitors who come here wanting to find out about Brooklyn and this particular neighborhood. My professional background is water planning and environmental management so I have a particular fascination with the water that’s shaped cities. Public Lab tools allows me to do a lot of “Do-It-Yourself” specialized research, on finding out where all the stream beds and old ponds were, how the landscape has changed and to try and understand all those different layers by peeling them back. With the Dredgers, the local canoe club, we are mainly trying to increase connection to the canal and make it more physically accessible, by creating the canoe launches and gardens at the ends of waterfront streets. The idea is that if the people touch their environment, they care about their environment and this helps to move people out of the digital world and back into the the physical world they can change. I help out with the Canal Conservancy (GCC) because I’m fascinated by plants and how they survive in cities and create green jungles. The Conservancy has been tackling the whole issue of how to make human environments more pleasant for not just humans, but a whole range of different species. We’re doing a mapping project which is a systematic inventory of all the forms of life within a mile of where we are. This makes us appreciate that it’s not just humans here. Are there any “hidden gems” in the Gowanus area? Well, the water itself is the biggest hidden gem. For so many years, residents were cut off from the waterfront by industry and never thought of water as a space. A lot of people are really surprised that we have a shoreline and that its water hides a history of our grandparents actions–a history that goes really far back. One of the plants you’ll see growing on the sides of the Canal is called the Empress Tree - a Chinese purple flower tree also called “Paulownia”. Its seed pods were used for packing porcelain from China–the seeds were the styrofoam of its day. The seed pods fell out of crates and now you have this glorious tree from the 1600s China trade era growing in 2013 Brooklyn–it survived all of those generations as a memento from the Dutch traders. People go and get married there now and stand beneath these trees that hold this odd history of global connections… Something that came all the way from China, fell here, seeded itself and is now making the place pretty again. The old buildings themselves are fascinating, we have all this fabulous industrial architecture that a lot of us have lost touch with because our things are manufactured in factories in India and China and you can’t actually see how things are made or open them up to look inside. But now there’s a whole local craft revival here of people wanting to make things again in these abandoned industrial spaces. That’s another surprise when you walk around the Canal. It may look abandoned, but when you walk inside, there are all these workshops of people doing really cool things, even if its just for entertainment… A MakerBot 3D printer factory, or an art collective or a Shakespeare reading… It’s like walking down a dark street and suddenly there is a lit door and in the lit door, there is a whole world going on. Would you say at the same time that there is a push for environmental restoration, there is also a very deep connection that is being built between the environment and economics of this area? There is. I mean, the environmental restoration happens by itself to a certain degree. The industry leaves, the activity slows down and things grow again; however, the pollutants are still there, some disperse, while others stay for a long time. People are moving back to the cities, because they want more sustainable lifestyles–this means that there is demographic pressure to create a healthier environment in areas like the Gowanus. A lot of the polluted site clean-ups are very much driven by more people wanting to use the space actively. 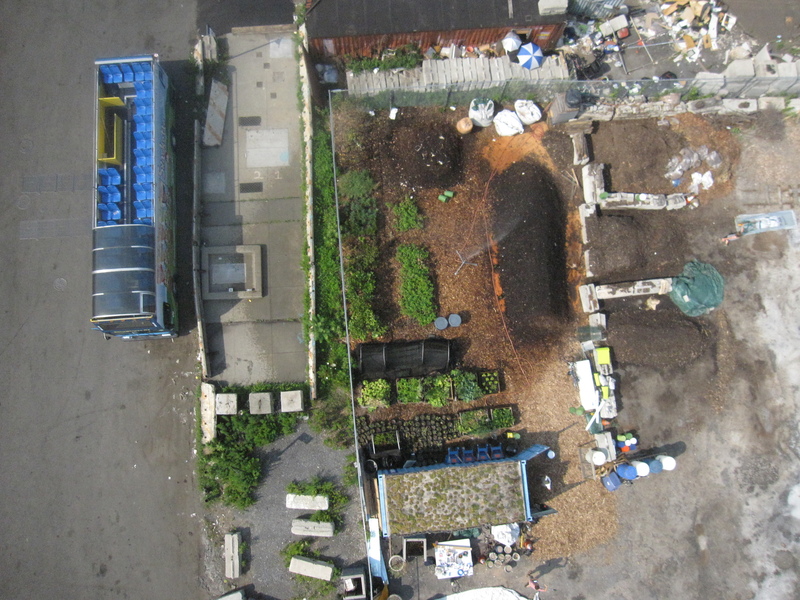 Can you discuss how you’ve been using aerial imagery in the work that you’ve done at Gowanus? Working with the Gowanus Conservancy, the initial driver was to create a record of the restoration plantings that we were doing, catching the four seasons of work where we would plant something in spring and look at how it was surviving during summer and then in a year, look at whether it was alive. That would inform whether we had made good or bad choices. But then looking at the photographs, we realized it was six times better resolution than anything that the state or the city could provide and we could get high quality imagery of all the changes that had happened in the last six months. The images became useful for analyzing sites they were targeting for actions. So the grassroots mapping effectively moved from being a recording to a planning and strategic tool, where we would look at something and realize slight shades in the ground or plant patterns showed an opportunity to look at something we didn’t know anything about. An example I can use is our photographs of concrete parking lots. Some photos had patterns of weeds growing through the breaks in the concrete, very distinctive patterns, and when we tried to understand why that happened, we overlaid the historical maps and realized there was an old stream bed and a spring right in the location where all the weeds were growing. We went to go look for the spring, and we realized that the spring was still flowing, had not gone away and would still be around long after we were gone. So what was the blank area of concrete in a photograph became a strategic piece of green information that we could go to the city with to discuss how they are rebuilding the storm sewers in our neighborhood. We can say “listen, there is a spring here that is still flowing, and instead of putting a storm sewer in the highest and driest part of the land, why don’t we daylight this old stream bed and meet some of the environmental goals that you have–we can also create ecological habitat restoration opportunities.” That’s an example of the specialized insight that came out of a cheap, high-technology Do-It-Yourself tool. This is the one of the key things about Public Lab; the tools are less important than the process of using them. As we use them, we become curious and by being curious, we start asking questions and find out stuff and a whole conversation gets started that leads to, “what should it be?” and, “what more could we find out about the site that will help change what we want to change?”. Another example was a concrete slab of an old burnt out factory building--a local historian had told us that this was a 1776 revolutionary war burial site. We took a bright red balloon and went and photographed the old industrial floor slab and Liz laid down on the slab, just to show what a body would look like lying there. When we looked at the photographs over coffee, we saw these patterns and cracks cross the slab that exactly matched the patterns and proportions of a mass grave burial ground. And whether it was there or not, the fact that we started talking about it, and attracted the attention of a newspaper reporter from the New York Times, that curiosity led to a whole media hullabaloo about the site being a military burial ground: America’s First Cemetery. Then politicians got involved and now there’s a conversation going on to create a commemorative park that will be a net benefit for the community in terms of additional open space. That was another success story from the last July’s “Over My Dead Body” mapping project. The Gowanus Canal is a designated EPA Superfund site. Could you talk a bit about the Superfund process and how generating your own data has been helpful in advocacy work that you’ve done? How has being involved as a local stakeholder made a difference? The CAG, also called the Community Advisory Group, is a network of community neighborhood associations facilitated by the Environmental Protection Agency. These community groups have a wide range of political opinions; some are pro-development, some are anti-development, some represent industrial interests. Basically, as a coalition, they get together and air their priorities and more importantly, they advocate for cleaning up and provide specialized insight that outsiders don’t have. The “locals” have been staring at the backyard for so long that we know exactly where the rain causes floods, we know where there are the funny stains showing up in the water, so the community advisory process is really where the little old lady on the rocking chair can say “oh I remember this is what happened there” and that insight can suddenly become a clue to finding out exactly why the colors of the water are the strange colors that they are. We can then put a dot on the map and provide that to the Superfund planners. The Public Lab process is perfectly suited for mapping those kinds of insights. For example we experienced several decades of people welding steel plates over concealed outflows so a factory could discreetly dump waste into the canal. We have been using canoes with balloon mounted cameras to take aerial infrared photographs of the water and noticed unusual patterns in the water–they displayed that there was something coming from what looked like a wall. The Superfund Investigation engineers had done a systematic visual inventory of all the outflows, but had missed quite a few of them for the legitimate reason that you couldn’t see them with a naked eye. Sure enough, you stick your head up behind the plate at low tide, and there is something that shouldn’t be flowing out into the Canal. The Superfund Community Advisory Group process is really about collecting all those specialized examples of local backyard knowledge, laying them on the table and putting the dots together to get an overall picture of the elephant and not leave people just talking about one leg. We are now seeing the whole beast as it is and that’s part of what the advisory group is doing... trying to give community feedback on specialized knowledge back to the State and translating the State’s specialist’s findings back to the broader community. This dialogue is done in a constructive manner. We’re not here to fight people or to question the state, we’re really trying to reconnect the state with itself because we’re taxpayers, we’re citizens, we’re working together and creating a finer grain of data where we take advantage of these amazing digital tools that make it easier to share information. We create a better system for running the city at a higher data resolution, which in theory allows for better decision making. Could you give some recommendations to people that may be working at a Superfund site? What are some of the successes you had when trying to form the CAG? What was the process? How successful has it been to work with the Superfund process? There have been pros and cons because you have to work with bureaucracies that have to function by prescribed codes. But those bureaucracies are also trying to take advantage of things that make them look good, and in as much as we provide imagery or ideas or concepts that can reflect well on their process, it’s successful. We’re giving information that is higher quality than is otherwise available and we’re doing it in a fun way. One of the things that I always try to do is make sure that we do stuff in a fun, congenial way, such as getting kids to hold balloons that are taking pictures of the issue that the Superfund Investigation missed. We’re not saying “hey you missed something,” we’re saying, “here’s additional information that we found out.” We feed that back in and really try to be an asset to the process rather than an adversary and focus all the time on what’s the real deliverable that we’re contributing. We’re not just here to talk about rules of order, we’re looking at specific ideas that can help move the process forward such as daylighting the local historic stream rather than paying five times as much to build a sewer tank in the wrong place. One of the things that you mentioned is being an asset rather than an adversary. Can you talk about bureaucracies such as the EPA and local government; how they responded to contributions from people around the Gowanus area? Has it been positive? What are some of the challenges that you’ve had? Overall it has been positive because they’re realizing that we want specific things. They take their rules and apply them to our neighborhood circumstances. A specific example is that during the Superfund clean-up process, they are planning to make the canal slightly narrower because they’re going to have to build impermeable barriers to prevent pollution from the upland areas. Under NY State and US Water Law, they’re going to have to compensate for the lost open water they remove by creating additional wetlands elsewhere. Technically that could happen anywhere in the city. We’re an industrial neighborhood, you wouldn’t think we’re suitable for wetland restoration projects, but in the example of the buried spring that I gave earlier, we pointed out that there is a flowing spring in a landfilled side basin that is filled with circuit boards and toxic waste. The State could do two things at once: remove the pollution and meet their legal wetland requirement. Rather than having the rebuilt wetland go elsewhere, we could have a valuable habitat within five minutes of our schools that will be an asset to the educational process. There have been challenges with not getting as much as we’d like. 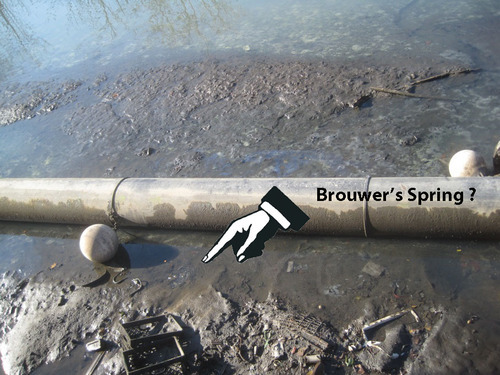 For example, the Superfund process only deals with cleaning out the water while the upland areas where the bulk of the pollution is remains under the jurisdiction of the New York State Brownfield Cleanup program. Traditionally they have been less energetic in their clean-ups than the federal government. Again, there is a balance of power going on. It is the State of NY that asked the federal US EPA to come and deal with the water because they felt it was too complex for them to deal with and as a “balance of power” compromise, NY State continued to administer the upland clean-ups. There’s a bit of a tug of war going on right now between the Community Advisory Group and the federal planners as to how much of the upland areas should be dealt with under the federal authority. We’d like to see much more of an integrated watershed process, where the whole of the contaminated Gowanus site is treated holistically. The Community Advisory Group partners have continuously brought this issue up, and we’ve seen a slow change in the dialogue. In the last two months, they’ve actually changed one of the upland strategies where a site that was formally going to be under the State jurisdiction, Thomas Green Park, is now going to be under much closer remediation control by the federal government. We’re actually getting hopes up for a more thorough cleanup as a result. June 2013 – Gowanus Canal Conservancy “Salt Lot” compost windrows, nursery, garden, and shipping container with green roof. What are your future plans at Gowanus? What do you specifically hope to see happen there? We hope it’s going to all get better and there are very real steps in that direction. We just visited the rebuilt Flushing Tunnel, which is going to be a big infrastructure improvement built by the City of New York to bring fresh water to the canal. Within the next year we’re hoping to see a 300% improvement to water quality and a lot of fish and bird life coming back. We’re hoping to build momentum around the redevelopment of the canal. Some people want development, other people would like to have it stay the way it is–we need to find the balance. The moment you clean something up, people want to build beautiful condos. We need the advocacy of the private sector (and the developers are going to a lot of the physical heavy lifting), but we also want to maintain a sustainable community where people who are on fixed incomes or are renting aren’t pushed out. So there’s that kind of balance that will have to be taken care of. In terms of other projects, we will be doing aerial photography for a sustainable yards project with local students, who are helping the city analyze the rain permeability of the urban landscape. With this better data, we can help calibrate the City’s Green Infrastructure plan to understand how much water flows into the sewer and storm pipes. If the City computer model says such and such and our grassroots balloon photographs say oh no, it’s such and such, then its really a higher resolution refinement of public data to get more accurate results for everyone. The other main project is to move out of the canal and into the watershed. We will be doing more detailed mapping of the 5th street basin which is a connector corridor to some of the park systems that are further upslope, a critical link to get the green streets system connected to the revitalized waterfront. We’re looking for a holistic public access and recreation waterfront plan where people can move around the landscape in a way that’s pleasant to them. The really fun project that we’re working on this summer is called the Play Pumps Project. This project stems out of our own advocacy success: the Community Advisory Group kept saying, “we want sewage stopped” and the federal planners are saying, “ok, well how about this, we build two big sewer retention tanks next to the canal, so any sewage, instead of going into the canal, is going to go into the big tanks”. People say, not a bad idea, but when you look at it more closely, you realize that there could be more sustainable alternatives with a lighter footprint because building a huge concrete sewer holding tank next to the waterfront definitely affects what that waterfront is going to look like. The Play Pumps Project is really a more refined alternative for many smaller rain tanks to be built on school playgrounds further up slope in the watershed. By keeping rainwater out of the sewers, we eliminate the need for the sewage overflow tanks. The “Play Pump” is an idea from Africa, where kids play on merry-go-rounds that pump the water out of the rain cisterns after the storm into tree pits and school gardens. 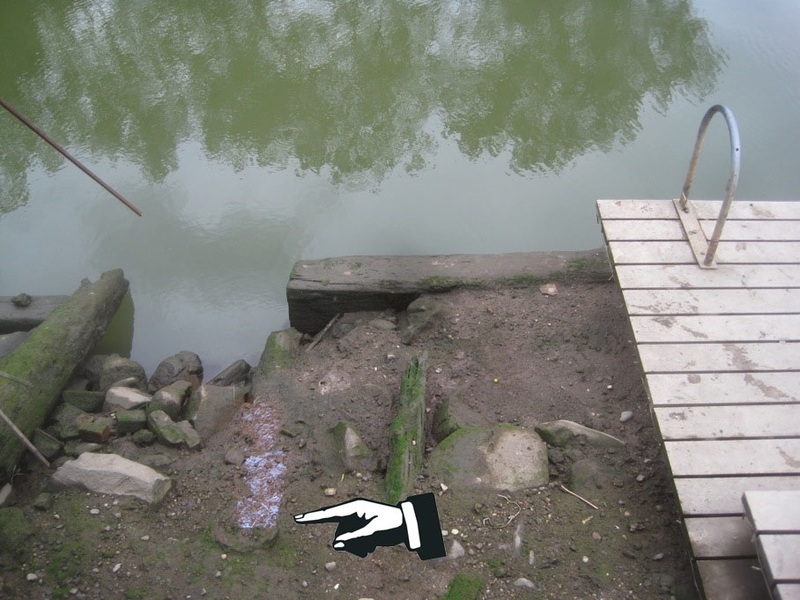 This Public Lab project will give grade school children big sticks of chalk and have them mark out where their favorite play spots are, and explain the whole concept of play pumps for watershed management and reducing sewage pollution. Then the kids will send up the bright red balloons with cameras and chalk out where they think their merry-go-round should go along with other improvements. In that process, we hope to get a dialogue going about, what the cheaper ways of managing urban stormwater locally are and how playgrounds could be more fun. Its much easier to deal with rain than it is to deal with sewage and sewer overflows. Images of kids with big red balloons photographing their playgrounds and discussing green infrastructure solutions make for good press. That’s the type of community dialogue we’re hoping to encourage. Key thing is that we have to do things that are fun. We’re all overworked and have so much to do and one of the most important things is to make something that people enjoy. We’re not just talking about a technique, but lifestyle, a way to reconnect with your neighbors and share what you know.